All our trainers are committed to providing you with the best possible learning experience. Here you can find out more about them. 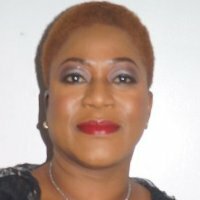 Toyin Adejumo, is an experienced Organisational Development Practitioner in the United Kingdom. She is a trainer, facilitator and consultant helping clients to achieve professionalism by focusing on staff, process and customers. She has over 18 years’ experience in Learning and Development, Business Partnering and Organisation Development with a wide range of clients in both public and private sectors. She specialises in Education Training and Development, Project and People Development Management. She has designed and delivered a wide range of courses and programmes for all level of staff. She is an Accredited Assessor of skills and knowledge; Specialist Skills for Life Practitioner, Adult Education Teacher, Member, Institute of Training and Organisational Learning (ITOL) and has been awarded Innovative Trainer of the Year. The principal Trainer and Consultant, Akintokunbo Adejumo, is a Chartered Institute of Environmental Health (CIEH) accredited and registered trainer. He holds the Trainer Skills Certificate of the CIEH and has over 20 years combined experience in the Food and Catering industries, as well as in Local Authority and Social Housing in the United Kingdom. He has a B. Sc. in Agriculture (Animal Science) from the University of Ibadan, in 1979 and an M Sc in Food Science from the University of Manitoba, Winnipeg, Canada, with specialisations in Food Microbiology, Food Processing and Quality Assurance in 1985, and a Diploma in Management (2006). He is a Member, Chartered Institute of Housing (CIHM) UK; Member, Chartered Management Institute (MCMI), UK; Fellow, Institute for Tourism Professionals (FITP). Tunde is a trained Human Resources professional with vast experience in different industries. He holds a National Diploma (ND) in Business Administration from the Federal Polytechnic Ilaro, a degree in Industrial Relations/Personnel Management (University of Lagos) and a Master of Business Administration (M.B.A.) in Marketing (Univ. of Nigeria, Nsukka.) He started his career with Master’s chemical Industries Limited Enugu, as a personnel officer and has worked in other companies in various industries including manufacturing, publishing and logistics industry, where he rose to become the head of human resources before venturing into consulting. 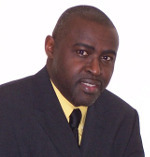 He has almost ten years of consulting experience with Errands Associates, Norwood Business Haus and B.D.O. International. As a senior consultant with B.D.O. International, he worked in various sectors of the economy handling both public and private sector projects. Tunde is currently a Senior Consultant, (Human Resources and Administration) with Affinity Libra Limited.